The crossover equivalent to the Golf R has been deemed not for US tastes. Volkswagen expanded its crossover line-up last year with the introduction of the T-Roc. 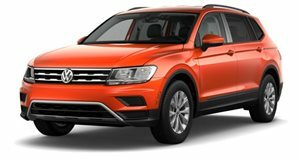 While the stylish SUV was originally expected to go on sale in the US, Volkswagen has other plans. Instead, the German automaker will launch a separate compact SUV specifically for the US market. It’s a shame because the T-Roc has sporty looks, is generously equipped, and has a wide choice of engine options. We’re even more jealous it isn’t available in the US now, because Volkswagen has just unveiled a new high-performance T-Roc R to battle the BMW X2 M35i. Think of it as the crossover equivalent to the Golf R.
Under the hood, the T-Roc R shares the same 2.0-liter four-cylinder turbo engine as its Golf R cousin, which packs 300 horsepower and 295 lb-ft of torque. It also borrows the Golf R’s 4Motion all-wheel-drive system and seven-speed DSG transmission. This combination allows the T-Roc R to hit 0-62 mph in 4.9 seconds before maxing out at an electronically-limited 155 mph. It also gets a lowered suspension and progressive steering as standard to improve the handling, while the 17-inch brake system, which was previously only found in the Volkswagen Golf R Performance, provides plenty of stopping power. Aesthetically, the range-topping T-Roc R adopts more aggressive styling than the standard model, featuring a redesigned grille, a sporty new bumper and large intakes at the front, along with a quad exhaust system at the rear. The sporty SUV rides on exclusive 18-inch Spielberg alloy wheels, which can be upgraded to 19-inch Pretoria rims in dark graphite matte wrapped in 235/40 R19 tires. Other distinguishing design elements include chrome mirror caps, a roof spoiler, slightly wider wheel arches, and black brake calipers. Inside, the sporty cues continue. The key cap, stainless steel sill panel trims, and seat backrests get special R branding, and the cabin also includes a multifunction sports steering wheel with paddle levers and white ambient lighting as standard. Available options include a Nappa leather package and carbon inserts. A concept version of the Volkswagen T-Roc R will be shown at Geneva next month before the performance crossover goes on sale later this year.